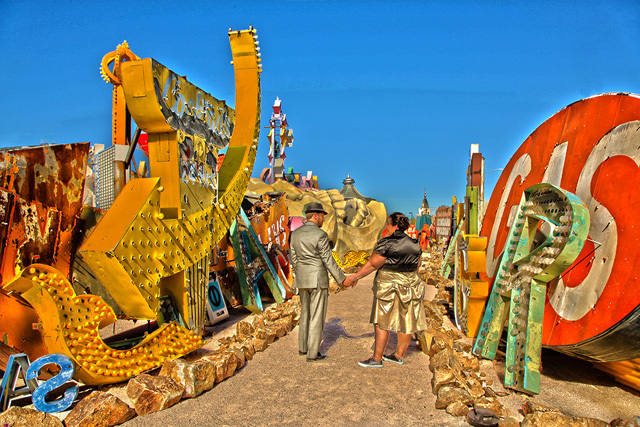 According the Neon Museum's mission statement, the museum exists to collect, preserve, study and exhibit neon signs. The museum's refurbishment and showcasing of signs is with the aim of inspiring educational and cultural enrichment for all members of Las Vegas' international community. 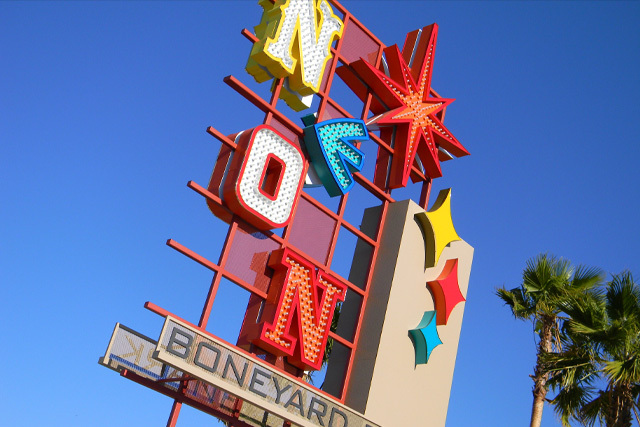 The Neon Museum opened officially when its first refurbished sign, The Hacienda Horse and Rider at the intersection of Las Vegas Boulevard and Fremont Street in 1996. Since that date, ten more signs have been successfully refurbished. All of the signs can be seen 24 hours a day, seven days a week in outdoor exhibition areas downtown. One of these exhibition sites is in front of Neonopolis on the south side near the Horse and Rider. The other is the 3rd street cul-de-sac next to the Fremont Street Experience canopy. For those who want a more guided experience, the museum has plenty of resources for visitors to complete walking tours of the outdoor exhibitions, and private appointments are available for tours of the Boneyard. We had a great day coming Neon Museum, Well worth the visit! Fantastic and extremely knowledgeable tour. The tour guide leads us through their "boneyard" and gives us lots of history of the signs and Vegas back in the day. It was extremely informative and our guide was quirky and fun.This was one of the coolest things I have ever done in Vegas.